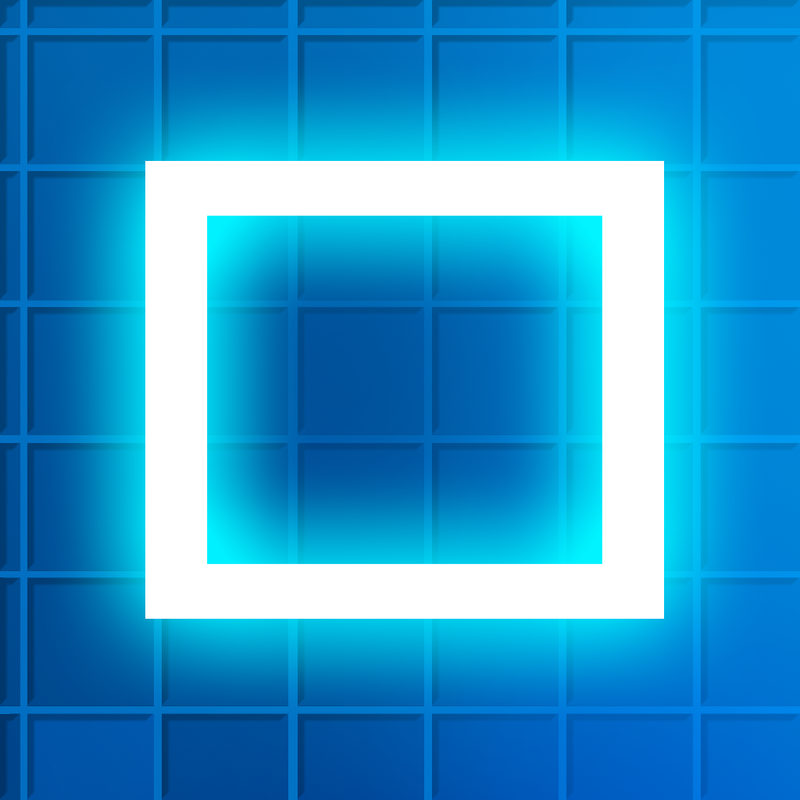 Pixld ($0.99) by Airtight Mobile is a fun and engaging matching puzzler that will keep you entertained for quite some time. I was intrigued about the game when we first told you about it, so I decided to check it out for myself. And boy, is it a delightful little treat. 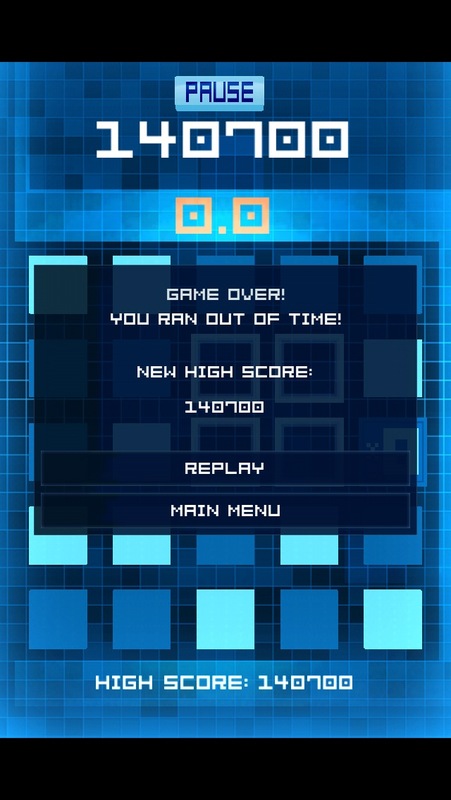 Despite Pixld not being optimized for the iPhone 5 yet (it’s letterboxed), the graphics still look sharp and crisp on Retina devices. The pixels look great, the music fits with the overall feel of the game, and the game mechanic adds a refreshing twist on the tried-and-true genre. 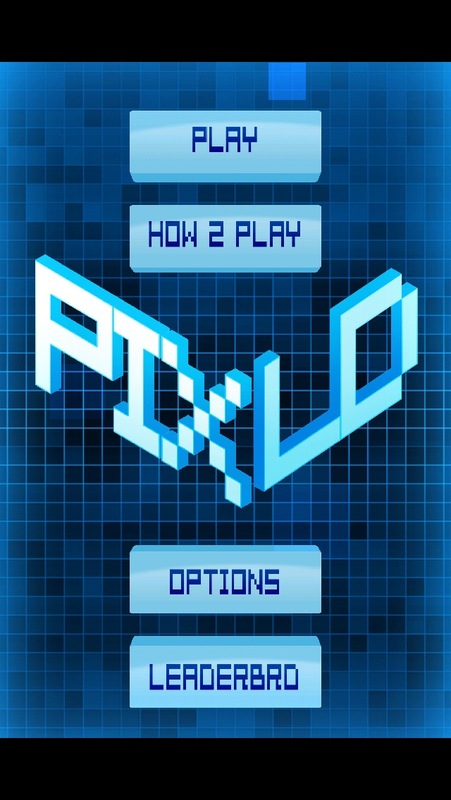 There are four real game modes in Pixld, along with a practice mode that you should try after viewing the tutorial. 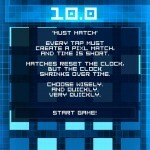 The modes are: 60 Sec, Levld, Must Match, and 50 Taps. 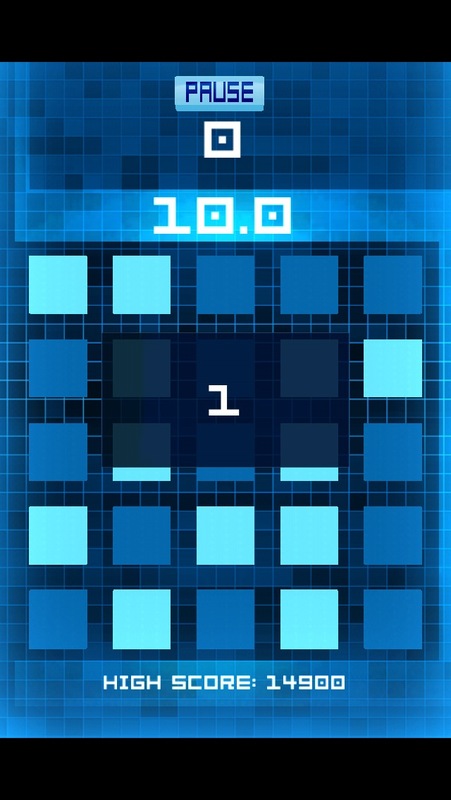 The 60 Sec mode is frantic and fun as you strive to get as many points as you can in 60 seconds (or more if you can get a lot of time tiles). Levld has you going through progressively harder levels, though you must fill up the progress meter before the time for that level runs out. 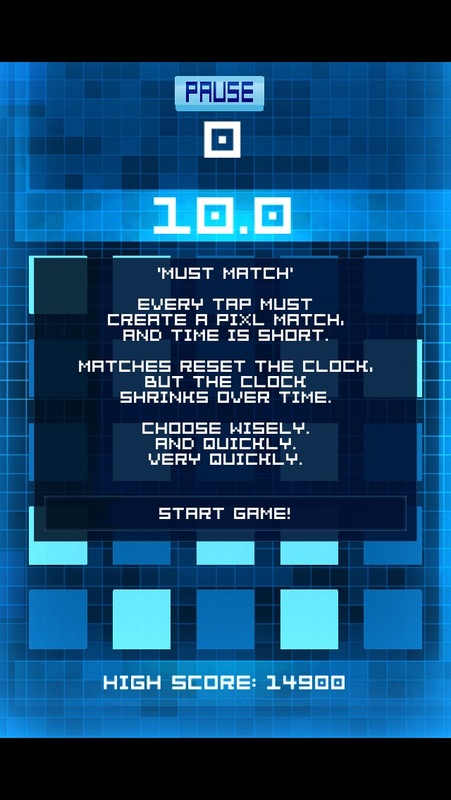 Must Match is a devious mode, because you only have a few seconds to make a move that must get matching pixels, otherwise it’s game over. Each match will reset the clock, but it gets shorter as you go. The 50 Taps mode has no timer, but you only have 50 moves to make in order to get the most points. 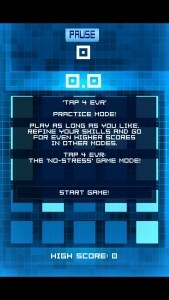 If you want practice, then the Tap 4 Evr mode is for you. 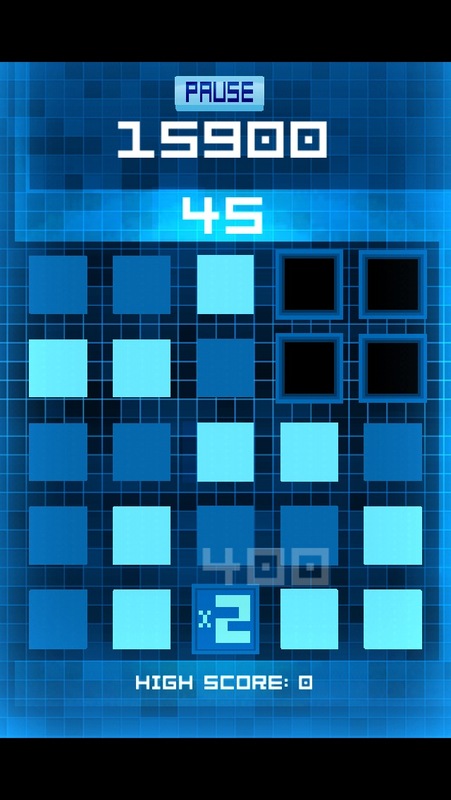 This is basically like a zen mode — the goal of it is to help you practice getting better at the game so you can do your best in the other four modes. So what’s the gameplay like? 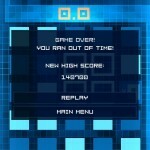 You will have a 5x5 grid on the screen that is filled with “pixels,” which are basically squares. 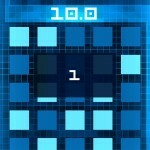 There are two colors of squares — light blue and dark blue. 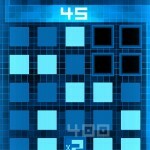 Tapping on any of these will alternate the color of it and all adjacent squares. 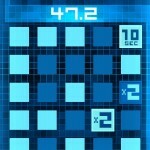 The goal is to match squares in groups of at least 2x2 or larger in order to clear them off of the screen. As you make progress, there will also be tiles that will give you multipliers when you match them, or they can give you more time or other special perks. 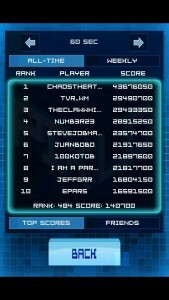 Pixld features Game Center support, but only for leaderboards. 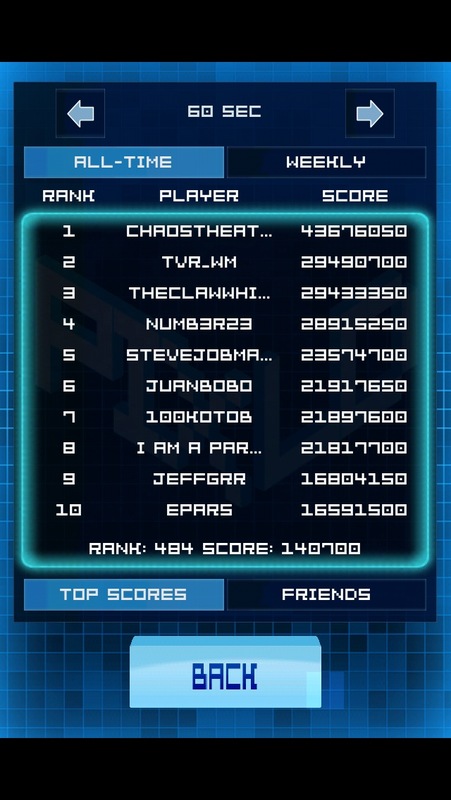 That’s okay though — you can see how much better you are than your friends at this game, right? That’s all that really matters. 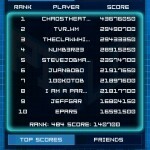 I’ve been playing Pixld throughout the day and I am really enjoying it. The concept is not new, but the way it is done is quite refreshing and really makes you think. 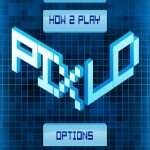 Pixld is a must-have for any color-matching puzzle game fan. 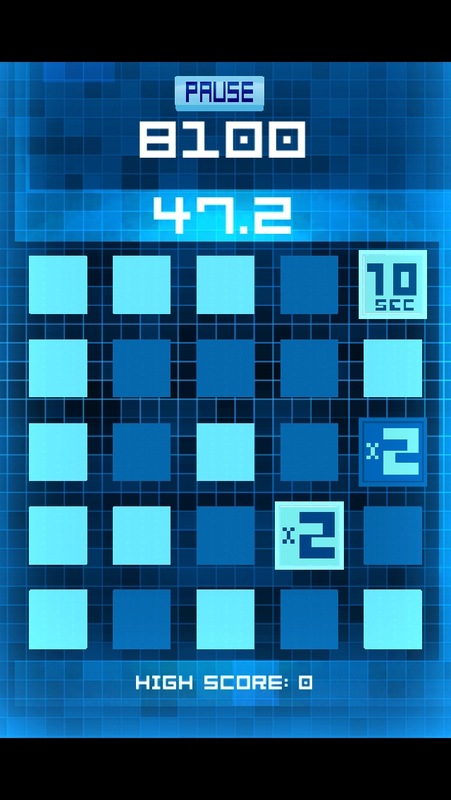 You can get it for $0.99 for your iPhone and iPad in the App Store.